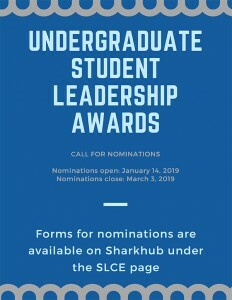 Nominate outstanding leaders in the NSU community for the 2019 Undergraduate Student Leadership Awards. 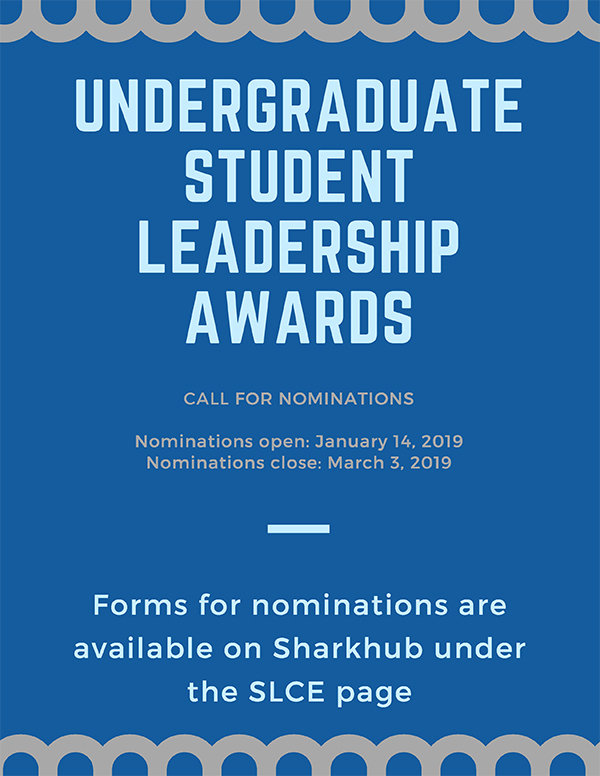 Forms for nominations are available on SharkHub under the Student Leadership and Civic Engagement (SLCE) page. For more information, contact Renae Bollibon at rb2005@nova.edu or Garrett Horejsi at gh591@nova.edu.